Whether you moved to a new city for school, for work, or with a family member or partner, chances are your social life has taken a bit of a hit. Even if you know a few people in your new town, it doesn’t take long to realize that you don’t have the same kind of network that you did before. And whether you consider yourself introverted or extroverted, the prospect of meeting new people and finding new friends can be daunting. Take a class. Find something you’re interested in – fitness, photography, or cooking are all great options – and take a class! Not only will you learn something new or improve your skills, you’ll also be meeting new people and then seeing the same people each week (or however often your class meets). Not only will the class give you something to talk about, but you’ll also be more comfortable with people the more often you see them. Join a group. The same advice you always got from your parents about making new friends? That still applies! Joining a group is a surefire way to meet people that already share some common interests with you. Whether it’s a group for young adults at your church, a sports team with your coworkers, or a local book club, seek out situations that encourage you to interact with others who share your interests! Meet your neighbors. If you’ve ever lived in a college dorm, you may know what it’s like to live in a building with other people but never know their names. But when you’re moving to a new city, don’t fall into this trap! It feels awkward, I know, but make an effort to get to know your neighbors. Maybe you won’t become best friends with the person across the hall, but even having someone to smile at when you pass them on your way out in the morning can put a positive spin on your whole day. Take advantage of your current network. When you decide to move to a new city, plenty of your friends, colleagues and acquaintances will be quick to list everyone they know who lives there. Take advantage of it! Even if all you get is a few restaurant recommendations or the name of a good gym or coffee shop, it’s worth it to get in touch with these friends of your friends. Every little bit helps, right? Lend a hand. Volunteering is always a great way to pass your time, but in a new city with a social calendar that’s probably emptier than usual, it’s an even better idea. 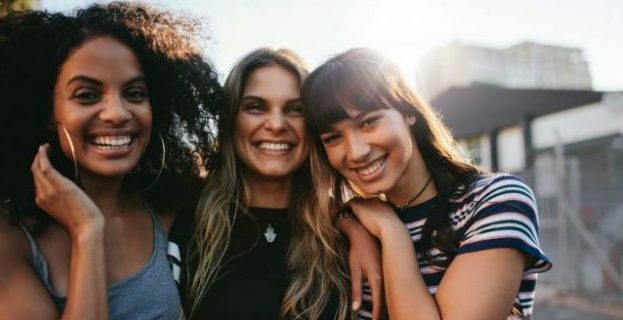 Not only will it connect you to your new community in a way that just living and working there can’t, it’s a great way to meet like-minded people who share your interests and who also care about their community! Moving to a new city without knowing anyone (or knowing only a few people) can certainly be scary. But just stepping outside your comfort zone and putting in a little bit of effort can lead to meeting lots of potential friends!